As you ponder the upcoming year, thinking of all of the success you want to achieve, have you considered what you need to learn, the systems you need to implement, and the accountability changes you need to make in order to achieve them... let alone, what will you do to fill your calendar with bookings? Doing the same things you did last year and expecting different results WON'T WORK. 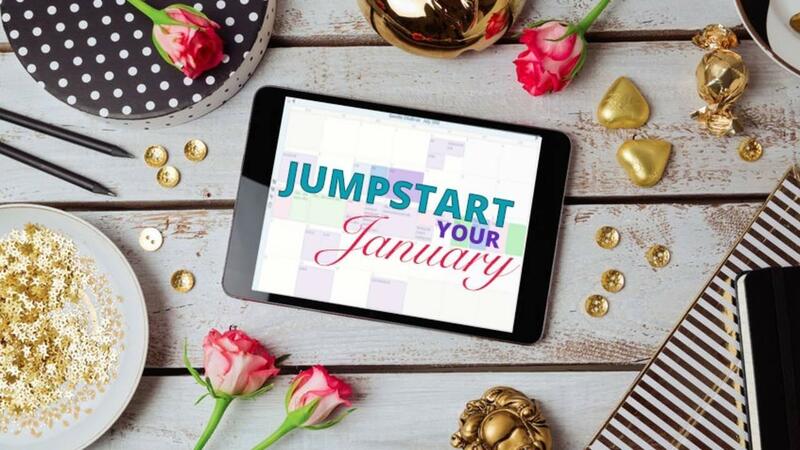 It's time for a business makeover with Jumpstart Your January. The greatest thing is that everything I share with you are things you can do... you can do now... and be successful! Ignite the fire and energy for your success in 2018 by getting your bookings for the new year now! Get proven successful tips for achieving your goals in direct sales (including scripts) provided in this 1 hour video, Jumpstart Your January. Start planning your roadmap to success and take on 2018 with all the confidence you need for a great new year when you Jumpstart Your January! This is YOUR chance to create a new possibility in your business! You Can Jumpstart Your January!